“Don’t Let Me Down,” written by John Lennon, performed by him with the other three Beatles and keyboardist Billy Preston on the roof of Apple Studios, January 30, 1969. “The Inner Light,” written by George Harrison. The song was released by the Beatles as the B-side of the “Lady Madonna” single in 1968. Musicians on the recording are George Harrison (lead vocals), John Lennon (harmony vocals), Paul McCartney (harmony vocals), Aashish Khan (sarod), Hanuman Jadev (shehnai), Hariprasad Chaurasia (bansuri), Mahapurush Misra (pakhavaj), Rijram Desad (harmonium), and an uncredited uncredited – tabla tarang player. “Princess Leia’s Stolen Death Star Plans/With Illicit Help From Your Friends,” a Sgt. Pepper/Star Wars mashup by Palette-Swap Ninja (Daniel Edward Amrich & Jude Aaron Kelley). you can download the entire album here. Don’t bother with downloads if YouTube has taken down the video above, since that will mean Sony and Lucasfilm don’t see “fan art” as “fair use” parody. “Free As A Bird,” based on a 1977 demo by John Lennon, recorded at his home at The Dakota on Central Park West, with 1995 studio tracks added by Paul McCartney, George Harrison and Ringo Starr, produced by Jeff Lynne. It won a Grammy in 1997. Video directed by Joe Pytka. “A Hard Day’s Night of the Living Dead,” by The Zombeatles. All you need is brains, luv. With chips and malt vinegar. “Daddy’s Car,” composed by artificial intelligence in the style of The Beatles, with lyrics and arrangement by Benoît Carré. 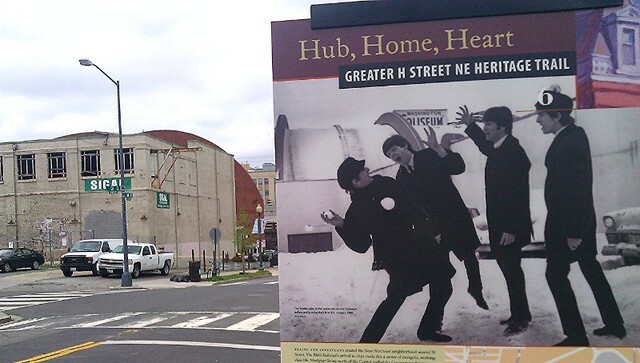 At Noon on February 11, 1964, two days after their live telecast on the Ed Sullivan Show in New York, John, Paul, George and Ringo braved a snowstorm and took a train to the Nation’s Capital for a concert that night. The Beatles were seen as a menace by Washington’s barbers and the Second Coming by DC’s squealing teens. 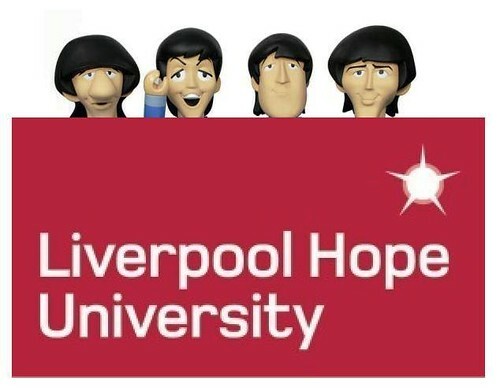 “There have been over 8000 books about The Beatles but there has never been serious academic study and that is what we are going to address,” says Dr. Michael (Mike) Brocken, Senior Lecturer in Popular Music at the school. Dr. Brocken is a frequent contributor to BBC Radio Merseyside and has written about the British folk music revival and Burt Bacharach. Liverpool Hope University (formerly the Liverpool Institute of Higher Education) is the successor to earlier Catholic and Church of England colleges dating back to 1844. Liverpudlian teen musicians John Lennon, Paul McCartney and George Harrison formed the group that became the Beatles in 1957-58 and appeared at the hometown Cavern club nearly 300 times from 1961 to 1963. Homeboy Richard Starkey (Ringo Starr) became the Beatles’ drummer in 1962.